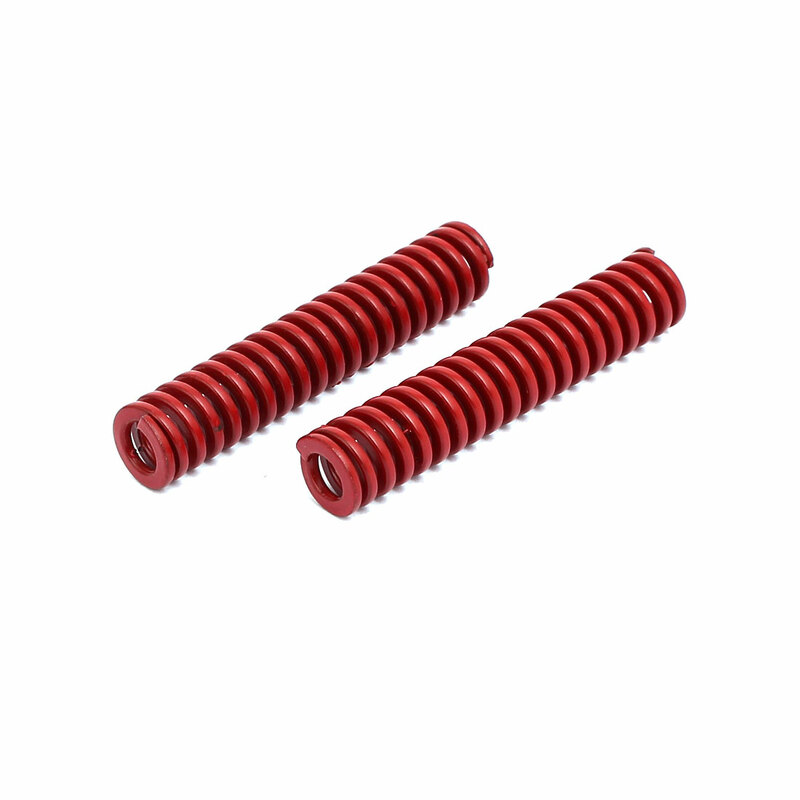 Compression Mould Die Spring, Made of 65Mn Spring Steel Material in Red,with Medium Load. Die springs are primarily used in die machinery. Widely used in the stamping mould, mould casting, plastic or metal molds and other elastic motion precision machinery equipment, automobile and other fields. Additionally, we want to tell you the loading grade of die springs in various colors (from lightest load to extra heavy load): yellow, blue, red, green, brown. Red Color here represents that the loading grade is Medium Load.